Each year during the anniversary week of Mercola.com, we recognize a Game Changer, someone whose work stands as a great service to humanity by making a significant contribution to improving people’s health. Previous recipients include Dr. Fred A. Kummerow for his life’s work on trans fats, Thomas Seyfried, Ph.D., for his advancement of cancer as a metabolic disease, and Dr. Lee Cowden for his advancement of integrative medicine through the creation of the Academy of Comprehensive Integrative Medicine. This year, we present the Game Changer Award to Carole Baggerly, director and founder of GrassrootsHealth, a nonprofit public health research organization dedicated to moving public health messages regarding vitamin D from research into practice. “Our tag line, ‘Moving Research into Practice,’ [came about] because the more I got into it, the more I realized that the clinical research is there for many health conditions, yet the implementation process wasn’t happening. You cannot expect a new success story to be implemented for somewhere between 15 and 25 years. So, we work not only on the science but on the methodology. That’s really important,” Baggerly says. “The biggest problem with the implementation of vitamin D right now is the methodology used to analyze the data. Almost every time you see a report that comes out that says there was no effect, they analyzed the data by dosage. 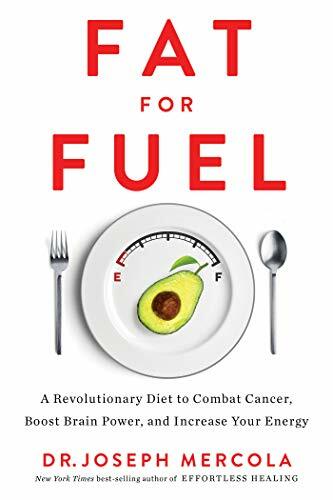 Baggerly’s work and personal dedication to developing and substantiating research supporting the use of vitamin D as a disease prevention strategy, and its importance during pregnancy and early development, is an incredibly important contribution to the field of preventive medicine. The aim of this campaign is to educate the public about “nutrient deficiencies that can be reversed through dietary supplements” — specifically vitamin D and omega-3 — and provides inexpensive and easy to use at-home testing kits to measure your levels twice a year. Test results are entered into GrassrootsHealth’s nutrient field trial, which tracks the health effects of supplementation on a wide variety of health problems over time. Vitamin D, a steroid hormone, is vital for the prevention of many chronic diseases, including but not limited to Type 2 diabetes and age-related macular degeneration (the leading cause of blindness). Other diseases are Alzheimer’s disease, heart disease and well over a dozen different types of cancer, including skin cancer — the very cause of concern that has led so many to avoid the sun exposure necessary for vitamin D production. In the case of heart disease, vitamin D plays a vital role in protecting and repairing damage to your endothelium.3 It also helps trigger production of nitric oxide — which improves blood flow and prevents blood clot formation — and significantly reduces oxidative stress in your vascular system, all of which are important to help prevent the development and/or progression of cardiovascular disease. According to vitamin D researcher Dr. Michael Holick, vitamin D deficiency — defined as a level below 20 nanograms per milliliter (ng/mL) or 50 nanomoles per liter (nm/L) — can also raise your risk of heart attack by 50 percent, and if you have a heart attack while vitamin D deficient, your risk of dying is nearly guaranteed. Importantly, the ongoing research by GrassrootsHealth has firmly established that 20 ng/mL, which is typically considered the cutoff for sufficiency, is nowhere near sufficient for optimal health and disease prevention. In reality, 40 ng/mL (100 nm/L) appears to be at the low end of optimal, with an ideal range being between 60 and 80 ng/mL (150 to 200 nm/L), according to some scientists. As noted by Baggerly in this interview, they have now published data showing that 80 percent of breast cancer incidences could be prevented simply by optimizing vitamin D and nothing else. And, she says, there is other research that indicates the recurrence of breast cancer could be prevented by at least 50 percent. This is brand-new information that could save so, so many lives, and we now have this data because so many of you are participating in the GrassrootsHealth D*Action study. 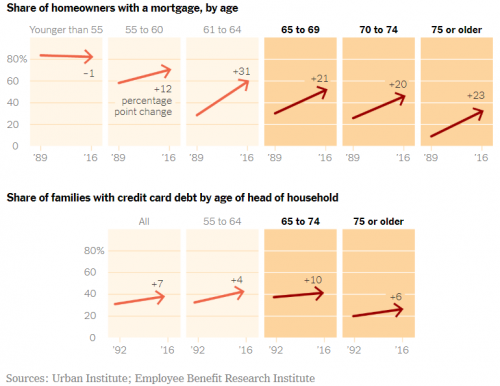 Here’s a revealing chart from the publication. The results were statistically significant at the p = 0.006 level as well. “There are a number of websites that talk about breast cancer prevention. They talk about diet, which is good, they talk about exercise, which is very good, and a whole bunch of other factors, all of which are good and wholeheartedly recommended. Overall, research supports the idea that higher levels offer greater cancer protection, and even levels as high as 100 ng/mL appear safe and beneficial. As noted by Baggerly, having a serum vitamin D level of 60 ng/mL positively impacts anyone with breast cancer, Type 1 diabetics, pregnant women and lactating mothers. A level of 60 ng/mL has also been shown to offer powerful protection against preterm birth if you’re pregnant. Women with a vitamin D level of at least 40 ng/mL may lower their risk of preterm birth by as much as 62 percent, compared to having a level of just 20 ng/mL. 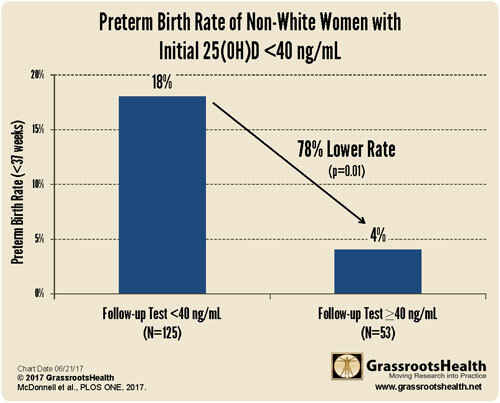 Women with a history of preterm birth gain even greater protection — an 80 percent reduction — when raising their vitamin D level above 40 ng/mL. So, what’s with the recent meta-analysis12 suggesting vitamin D offers no protection against cancer after all? This analysis, published online July 19, 2018, concluded that once-a-month high-dose vitamin D supplementation had no impact on cancer risk. Here, participants received an initial bolus dose of 200,000 IUs of vitamin D, followed by a monthly dose of 100,000 IUs (so-called pulsed or pulsatile dosing) for a median of about three years. As noted by Baggerly, while the media played this up as a finding contradicting recommendations to optimize your vitamin D to lower your cancer risk, it really only makes a case against once-a-month mega-dosing. For optimal results, you need to supplement far more frequently and to focus on the achieved serum level, not the dosage. “We always recommend daily dosing,” she says. This is particularly important for pregnant and nursing women, as the vitamin D may not be available in your breast milk otherwise. 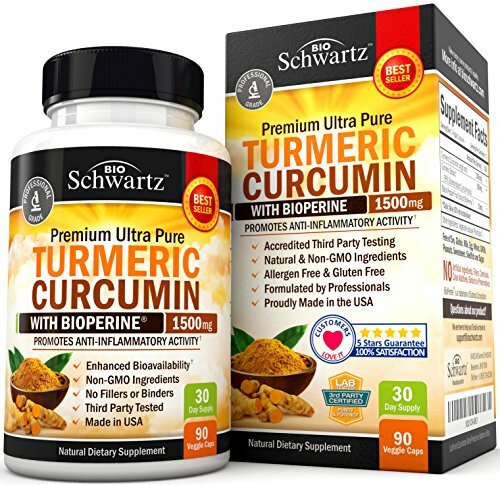 She also points out that 100,000 IUs per month actually only comes out to about 3,000 IUs per day, which is far below what most adults need to raise their vitamin D serum level into the protective range. Indeed, the study notes the mean baseline vitamin D concentration was just over 26 ng/mL, and the mean follow-up level was just 20 ng/mL higher in the supplement group than the placebo group that received no vitamin D.
What’s more, participants’ vitamin D levels were not measured regularly throughout the study, and the association with cancer was NOT analyzed by serum level, “which we know is the measure that must be attended to,” Baggerly says. The key factor is not how much vitamin D you take but whether or not your blood level of vitamin D is within the “Goldilocks’ zone” of 60 to 80 ng/mL, and the only way to ascertain that is through blood testing. GrassrootsHealth scientists have also argued that pulsatile dosing at intervals greater than two weeks may actually cause a form of vitamin D deficiency at the cellular level. 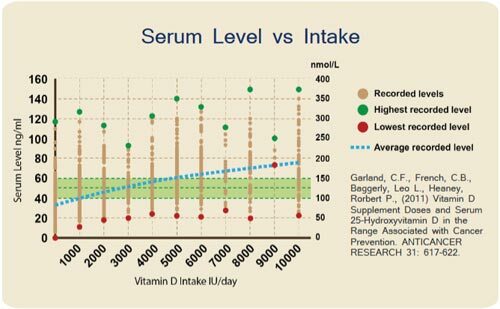 According to GrassrootsHealth, to accurately ascertain the benefit of vitamin D in any given trial, researchers must track not only the baseline and final vitamin D serum level plus the dose given, but also the form (vitamin D2 versus D3) and the dosing interval. In reality, the study in question found seven positive outcomes, including increased birth weight, a 40 percent reduction in gestational diabetes, an 18 percent reduction in preeclampsia and a 17 percent reduction in gestational hypertension. “The researchers found that preterm birth levels were the same with or without vitamin D. But, they did not include a pre-eminent paper15 on preterm birth in their analysis. It was a randomized trial with 257 women. Like vitamin D, your omega-3 level is also a powerful predictor of your all-cause mortality risk and plays a vital role in overall health, especially your heart and brain health. Recent research16 funded by the National Institutes of Health found having a higher omega-3 index was associated with a lower risk for cardiovascular events, coronary heart disease events and strokes. As mentioned, omega-3 is the other nutrient GrassrootsHealth is focusing on in its Nutrient Power campaign. The omega-3 index is a blood test that measures the amount of EPA and DHA omega-3 fatty acids in your red blood cell (RBC) membranes. Your index is expressed as a percent of your total RBC fatty acids. The omega-3 index reflects your tissue levels of EPA and DHA and has been validated as a stable, long-term marker of your omega-3 status. An omega-3 index over 8 percent is associated with the lowest risk of death from heart disease. An index below 4 percent, which is common in much of Europe and the U.S., puts you at the highest risk of heart disease-related mortality. Baggerly also notes that one of the first benefits to emerge from the data gathered so far is that omega-3 reduces pain levels. There appears to be a correlation with vitamin D here; in essence, higher omega-3 and vitamin D levels together result in less pain. This is one of the great things about GrassrootsHealth’s consumer sponsored research — many nutrients work together, and they’re now able to track vitamin D and omega-3 concurrently by offering at-home tests for both. Omega-3 is also already showing benefit for Type 1 diabetics, even though the omega-3 study has only been gathering data for a little over six months. “At a Children with Diabetes Meeting that I recently attended, Dr. Michael Clare-Salzler, a diabetes researcher at the University of Florida, said that what we have done with our protocol — basically this field trial idea where people share their information, we record it, we analyze it, so forth — in his mind has changed the face of clinical trials. He actually said, ‘We need to do our clinical trial after you’ve done yours and/or at the same time and, to establish safety if that has not already been done, but not five clinical trials before we implement it, especially if something is as safe as vitamin D and omega 3. Are You Getting Enough Magnesium to Activate Your Vitamin D? 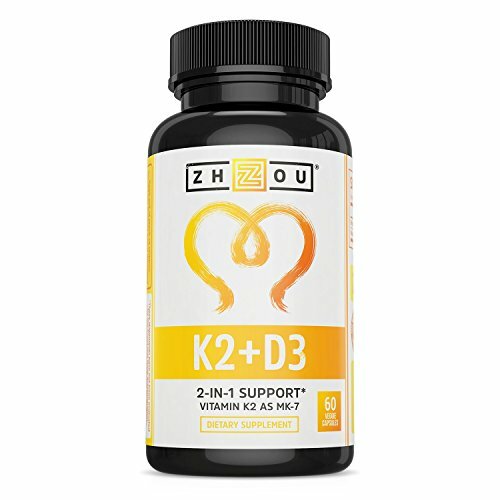 An important finding brought up in the featured interview is the necessity to optimize your magnesium level when taking supplemental vitamin D. I’ve previously written about the importance of taking vitamin K2 when you’re taking high-dose supplemental vitamin D to avoid complications associated with excessive calcification in your arteries. Equally, if not more, important is magnesium, without which vitamin D supplementation may backfire. Recent research17,18 confirms that if you’re taking high doses of vitamin D while having an insufficient magnesium level, your body cannot properly utilize the vitamin D you’re taking.19,20,21,22 The reason for this is because magnesium is required for the actual activation of vitamin D. If your magnesium level is too low, the vitamin D will simply get stored in its inactive form, doing you absolutely no good. This may actually help explain why many need rather high doses of vitamin D to optimize their levels. According to this scientific review, as many as 50 percent of Americans taking vitamin D supplements may not get significant benefit due to insufficient magnesium levels. Furthermore, the associations of serum 25(OH)D with mortality, particularly due to cardiovascular disease and colorectal cancer, were modified by magnesium intake, and the inverse associations were primarily present among those with magnesium intake above the median. The Protect Our Children NOW! campaign was launched by GrassrootsHealth in 2015, with the aim of combating vitamin D deficiency among pregnant women worldwide. Research conducted through this project reveals up to 59 percent of preterm births could be prevented simply by raising pregnant women’s vitamin D to a level of 40 ng/mL (100 nmol/L). Among non-Caucasian women (among whom vitamin D deficiency is more common and prominent) the benefit was even more significant. In this group, the preterm rate prior to the start of the study was 18 percent. 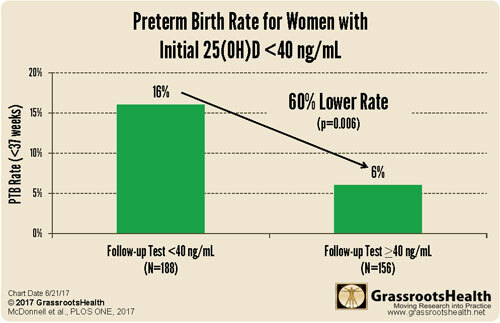 Those who achieved a vitamin D level of 40 ng/mL by their second test had a 78 percent lower preterm birth rate, reducing the preterm birth rate to just 4 percent! As of 2015, the U.S. had a preterm birth rate of 9.6 percent, meaning nearly 1 in 10 babies was born prematurely, and preterm births are responsible for 28 percent of newborn deaths during the first month of life. The data obtained from Protect Our Children NOW! ultimately led to the Medical University of South Carolina changing its standard of care for all pregnant patients, so that now all are tested and receive vitamin D3 supplements to ensure they’re at or above 40 ng/mL. “But it really took their knowing enough about it to do it,” Baggerly says. “And after close to two years of doing that change in care, we have again demonstrated in a field trial that it works. Have You Checked Your Vitamin D Level Yet? Regular, sensible sun exposure is the best way to optimize your vitamin D status, but many will need to take an oral vitamin D3 supplement, especially during winter months. The only way to gauge whether you might need to supplement is to get your level tested, ideally twice a year, in the summer and winter when your level is at its peak and low point. This is particularly important if you’re pregnant or planning a pregnancy, or if you have cancer. That means right about now is a good time to get your level checked, to identify your high-point. Again, the level you’re aiming for is between 60 and 80 ng/mL, with 40 ng/mL being the low cutoff point for sufficiency to prevent a wide range of diseases, including cancer. As for dosage, you need to take whatever dosage required to get you into the optimal range. Research31 suggests it would require 9,600 IUs of vitamin D per day to get 97 percent of the population to reach 40 ng/mL, but individual requirements can vary widely. 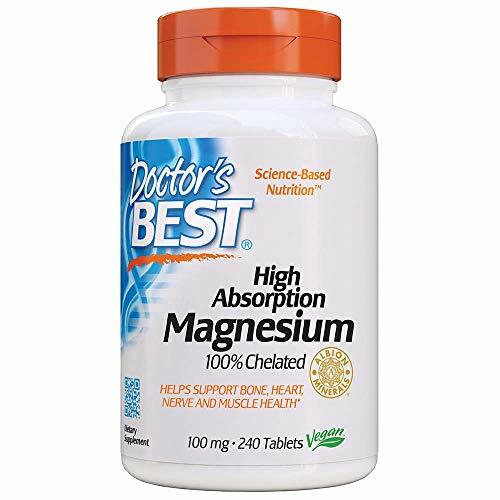 As mentioned, your magnesium status is a very important factor that can play a role in your required dosage, but there are many other individual factors as well. If you’ve been taking a certain amount of vitamin D3 for a number of months and retesting reveals you’re still not within the recommended range, then you know you need to increase your dosage. Over time, with continued testing, you’ll find your individual sweet spot and have a good idea of how much you need to take to maintain a year-round level of 60 to 80 ng/mL. GrassrootsHealth also has an online vitamin D calculator you can use to estimate your vitamin D3 dosage once you know your current serum level. If you’re not eating these foods on a regular basis, your alternatives for an omega-3 supplement include fish oil and krill oil. The latter is my preferred choice, as it contains DHA and EPA in a form that’s less prone to oxidation. The fatty acids in krill oil are also bound to phospholipids, which allow the DHA and EPA to travel efficiently into your hepatic system; hence, they’re more bioavailable. Studies33 have shown that krill oil may be 48 times more potent than fish oil. As with vitamin D, the best way to determine your required dose of omega-3 is to measure your level using the omega-3 index. If you’re below 8 percent, you’ll want to increase your omega-3 intake and retest about three to six months later. GrassrootsHealth makes it easy by offering inexpensive testing kits for both vitamin D and omega-3as part of its consumer-sponsored research. By signing up, you are helping further truly vital health research that can help millions in coming years. “I appeal to all of you out there — those who have had breast cancer especially — please enroll in this next phase of the project if you haven’t already because [cancer recurrence as well as cancer occurrence are] what we will be tracking,” Baggerly says. Clearly, there’s a lot of room for improvement when it comes to reducing cancer and premature birth rates. Raising your vitamin D level to 60 ng/mL and 40ng/mL respectively is an incredibly inexpensive way to make a dramatic impact on both — reducing breast cancer recurrence by 80 percent and premature birth by 60 percent. There’s really nothing else out there that can boast such phenomenal results. Were it a drug, it would be an instant blockbuster. Fortunately for you, you can get vitamin D free, by spending time in the sun, or inexpensively as a supplement. Baggerly also urges ALL women to enroll in the Breast Cancer Prevention project, to track your vitamin D level and help prevent an initial cancer occurrence, or, if you’ve already had it, to help prevent a recurrence.